In 2008, in partnership with five private landowners and US Fish & Wildlife Service, three existing wetland ponds were improved and two new ponds were developed. One of the ponds had an existing population of western pond turtles utilizing it. More pond turtles are now utilizing the pond with as many as 24 adult turtles observed basking each year. 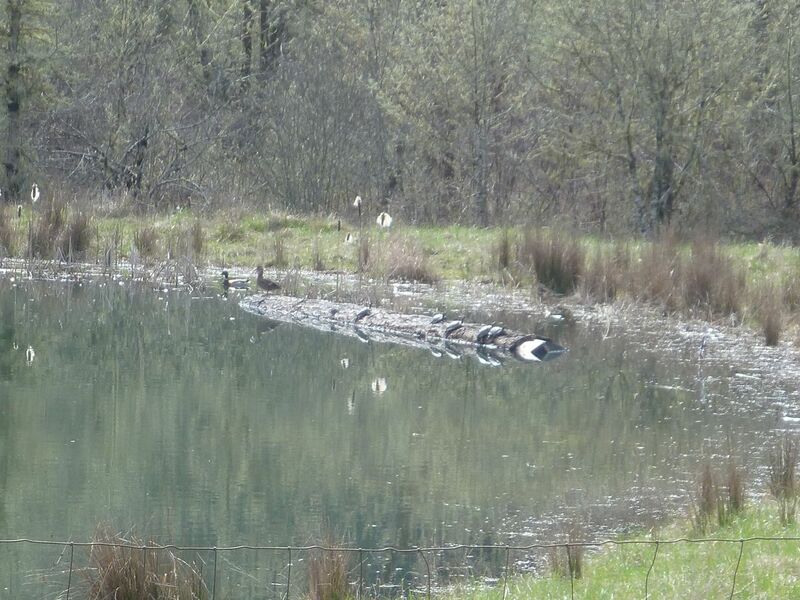 Immature pond turtles were observed on the basking log in 2009 and 2010. The ponds are teeming with tree frogs and red-legged frogs in the spring.Tufted hair grass, reeds, sedges and cattails are established on the pond edges and adjacent to the pond. Emergent vegetation seeded on the shallow edges (tufted hair grass, reeds and sedges) is well established, providing improved habitat for turtles, waterfowl and frogs. Wet edges provide mineral/watering opportunities for nearby Fender’s blue butterflies. Mallards, hooded mergansers, wood ducks, and ring-necked ducks have been observed using the ponds and tracks of raccoon, deer, great-blue heron and turkey have been observed around the edges. 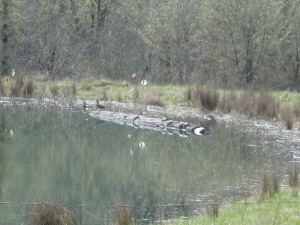 This project was supported by Oregon Watershed Enhancement Board and US Fish & Wildlife Service.